In 1936, Bruce Ulmer Sr. started a simple two bay service station in Cincinnati. 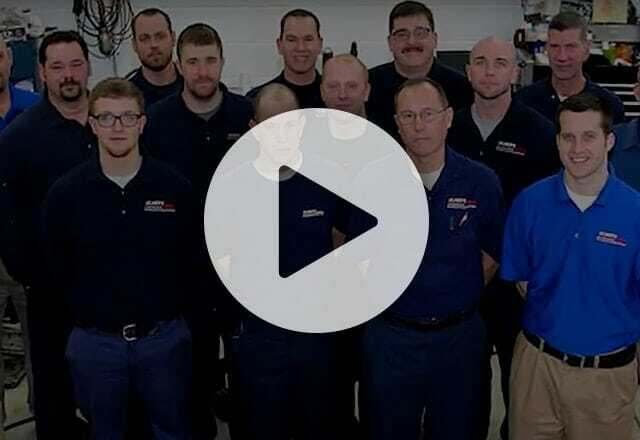 Over 80 years, four generations, and countless happy customers later, Ulmer’s Auto Care Center continues to provide exceptional auto repair and maintenance services in Cincinnati, Milford and Anderson, OH. Our History In 1981, Greg Kauffeld, a full-time mechanic, purchased Ulmer’s from Bruce Ulmer Jr. In 1990, Greg expanded the automotive business to accommodate the growing number of happy customers. In 2002, Bryan Kauffeld, Greg’s son, joined the business as they prepared for yet another expansion. Expanding the Ulmer’s tradition to Milford, Bryan and Greg opened a five bay facility at Five Points. Ulmer’s Auto Care Center uses state-of-the-art technology, tools, and equipment to handle any and all auto repair service needs. 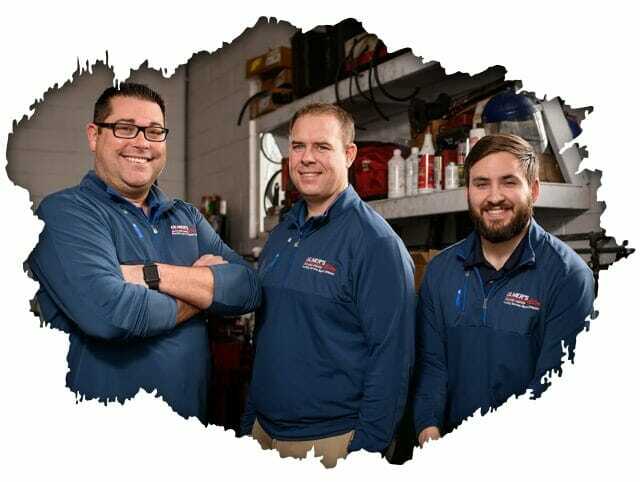 Whether it’s a basic oil change, brake repair, timing belt replacement or more, we have an auto repair specialist who honors the long-lasting Ulmer’s Auto Care Center traditions, prepared to help you with your vehicle. Our Auto Repair Shop Ulmer’s Auto Care Center is your one-stop auto service for regular maintenance or major auto repairs. We don’t want you to run all over town to different auto shops. Our ASE certified Cincinnati and Milford auto repair technicians work on all makes and models, both foreign and domestic. Our auto repair experts will take care of you no matter what kind of vehicle you drive. We can guarantee the finest quality care for your Mercedes, BMW, Audi, or other European import. At Ulmer’s Auto Care Center, we’re proud of our rich history and the opportunity to provide Milford, Anderson, and Cincinnati with top quality auto repair. To make sure you are as confident in our auto services as we are, our car repairs are backed by our industry-leading 3 year/36,000 mile warranty! We also have a state-of-the-art computer system, which allows us to keep detailed records of all automotive services and repairs performed on your vehicle. With this same system, we’ll make sure to remind you of the regular vehicle maintenance services your car needs to keep it running in top form. For your convenience, we offer an after hours vehicle drop-off option so you can drop your car off in a safe and secure facility if you can’t bring it in during normal business hours. We also offer a free vehicle pickup and delivery service for your car’s maintenance and repair needs. We understand that it’s not convenient to be left without your car for the day, and now you can have it serviced while you are at work. We also provide FREE loaner cars so you can continue with your daily routine without inconvenience. We invite you to give us a call, easily schedule your appointment online, or stop by today and let our friendly team help you get back on the road easily and safely. Bryan joined his dad, Greg, in the business in May of 2002. Bryan graduated from St Xavier High School in Cincinnati in 1998 and from Purdue University with a degree in Management and Finance in 2002. He enjoys spending time with his wife, Katie, and son, James. He is an avid sports fan always cheering on his favorite teams, the Boilermakers, Bearcats, Bengals and Reds. Bryan takes a work hard, play hard approach and enjoys playing golf and traveling in his free time. His two favorite places to visit are St Simons Island, Georgia and Siesta Key, Florida. Roger joined our Anderson team as our shuttle driver in 2018 after several years of appreciating our services. Relocated from the Chesapeake Bay area; where his interests were sailing, flying, teaching canoeing, kayaking and outdoor survival skills, Roger now resides in Anderson Township with his wife and two adopted dogs, Carly & Brandy!